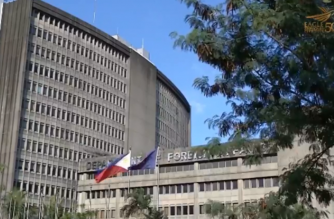 (Eagle News) — The Department of Foreign Affairs (DFA) has asked some 1,800 Filipinos living in Tripoli, Libya to take necessary precautions after renewed military clashes in the southern Tripoli district of Qasir Ben Ghasnir which have killed at least 10 people. Philippine Ambassador to Tripoli, “Filipinos in the Qasir Ben Ghashir, Wadi Al Rabea, Tariq Matar, Esbea and adjoining districts in Tripoli are advised to move to safer areas far from the scene of the clashes,” said Chargé d’Affaires Mardomel Melicor. He said Filipinos in other areas of Tripoli are also advised to closely monitor the situation, stay indoors and avoid unnecessary movements. DFA said that if fighting should spill over to their location, Filipinos should be prepared to move to safer ground. 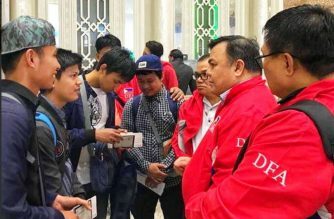 If the situation further escalates, DFA said it would repatriate the more than 1,800 Filipinos still in Tripoli back to the Philippines. The embassy also said if Filipinos in Tripoli may require their assistance, they may call the Embassy’s hotline at +218 91 824 4208. 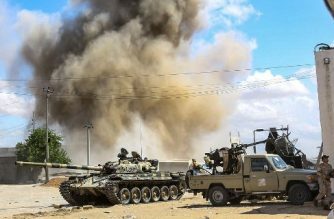 Two days of clashes between rival militias near Libya’s capital Tripoli have left 10 people dead and 41 wounded, according to Libya’s health ministry on Thursday.